Cartee-Berry & Associates is proud to announce that it has won a grand prize in the industrial category of the 2013 Design Data SDS/2 Solid Steel Competition. The company received the award for its steel detailing work on the Lafarge Duct Work Wet Gas Scrubber, a state-of-the art industrial complex located in Alpena, MI. Cartee-Berry & Associates provides detailed fabrication drawings using Design Datas SDS/2 steel detailing software. With both principals being registered Professional Engineers, we provide a level of expertise unusual for a steel detailing firm. We combine the experience of our engineering backgrounds with a common sense approach to become a project partner you can count on. Clear fabrication details are prepared using Design Datas SDS/2 Detailing Software, with plans being fully modeled to ensure a complete understanding of the project. However, we continue to check shop drawings the old fashioned way, with experienced engineers providing a rigorous check of every shop drawing before it reaches your shop. 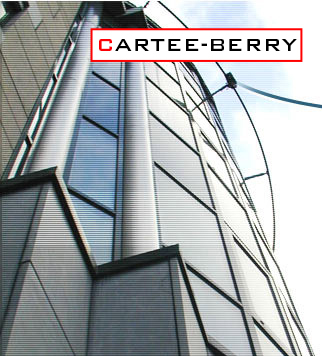 The results have proven that Cartee-Berry & Associates can be counted on for a successful construction project, every time. Our years of experience in the steel industry are apparent in the quality of the finished product. The high quality and professional presentation of details we produce save our clients time and expense in fabrication. Contact us for more information regarding your project.